Malcolm Gladwell is a strange little famous man, isn't he? While I agree with the basic logic of his book regarding the powerful forces of cultural legacies and concerted cultivation, I felt a little uneasy with his primary argument that *race* and *chance* ultimately shape your destiny. This is the sociologist in him speaking, and were it not for Gladwell coming clean with his own mixed heritage (his mother is black Jamaican; his father white Canadian), I may have gone far enough to brand him, you know, racist. But McDowell speaks from the heart and with clarity and backs up his suppositions with statistics and graphs and what not. 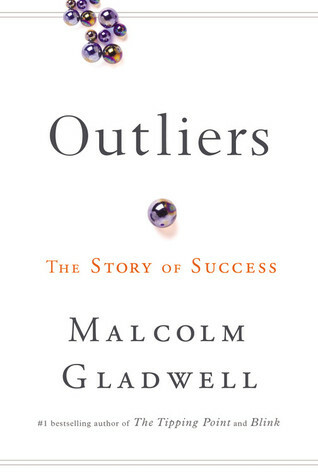 OUTLIERS has engaging stories about Steve Jobs, Bill Gates, Chris Langan and a little black girl named Marita who is struggling to change her life in Brooklyn, NY. These stories tug on your heartstrings and bring out the flavor of Gladwell's main hypothesis: "If you work hard enough and assert yourself, and use your mind and imagination, you can shape the world to your desires." But couldn't Gladwell have reached this truth in his book employing just half of the page count? I think so.